We come back to work today. Valentines's Day will be coming soon. ElegoMall here provides you a great vape gift that is Perkey Lov Transformable Pod System. You can only spend 9.99 USD to get the "LOVE" style starter kit. Please register a business account to get the lower price. 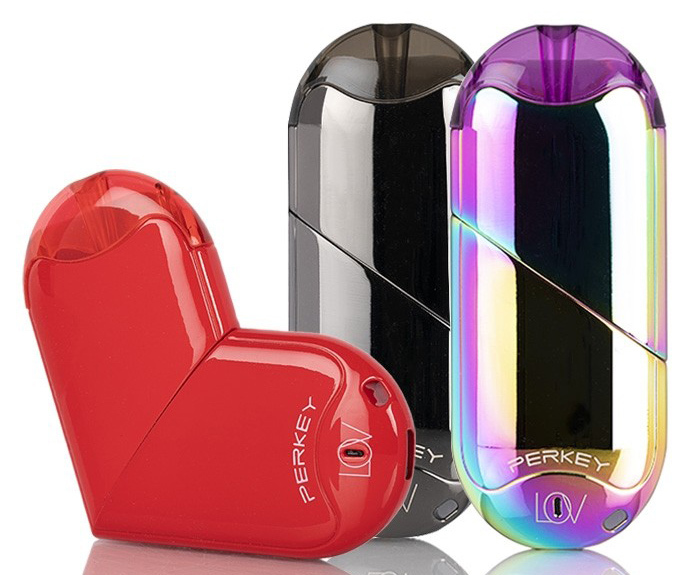 Perkey Lov Pod Starter Kit is an all-in-one vape kit with a unique transforming design. Choose from the standard pen design or a heart-shaped design by simply twisting the device. The Lov has no buttons and is automatically activated with a constant 3.7V output. The Lov features a built-in 320mAh battery capacity which may be charged via the bottom micro USB charging port. The Lov features a leak resistant design due to the hidden top airflow placement. The Lov utilizes a 1.6ml capacity refillable empty cartridge with a ceramic coil for pure flavor. The Lov includes a necklace chain lanyard which may be attached to the device. ElegoMall also provides the 5% OFF Valentine's Vape coupon to you.